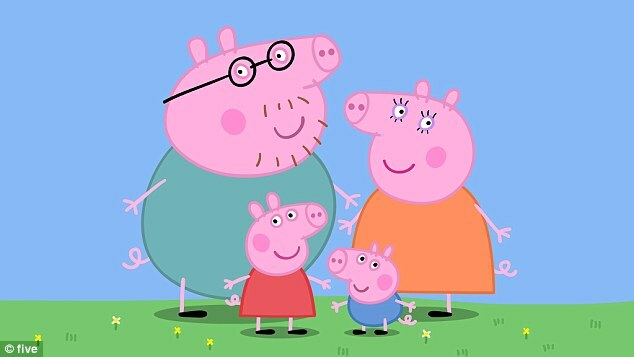 Spoil kids, a bullied husband, an antagonistic father-in-law and a mother in need of Prozac… it might sound like a new family on EastEnders’ Albert Square, but it’s actually Britain’s most influential family – Peppa Pig and her herd. She stamps her feet, bullies her brother, makes fun of her parents, falls out with her friends, whinges when she loses, pokes out her tongue and generally displays copious amounts of antisocial behavior. 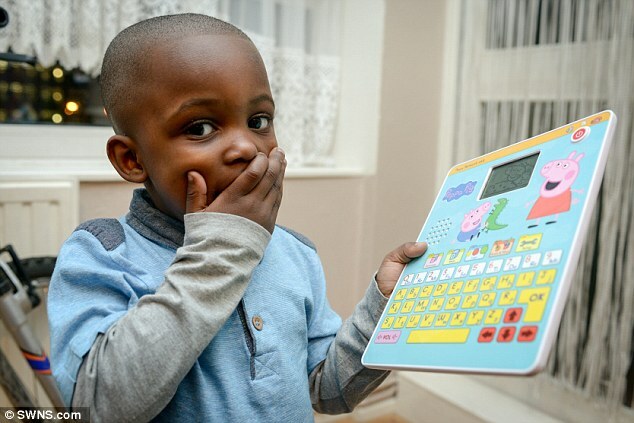 So when I read about three-year-old Amari Black earlier this week, whose malfunctioning Peppa Pig toy from Argos was spouting swear words, I couldn’t help feeling it was merely a natural progression from Peppa’s on-screen presence. Yet so popular is the four-time Bafta-winning cartoon that it’s overtaken Thomas The Tank Engine as Britain’s top-selling pre-school character and this month made it to the big screen for the first time. 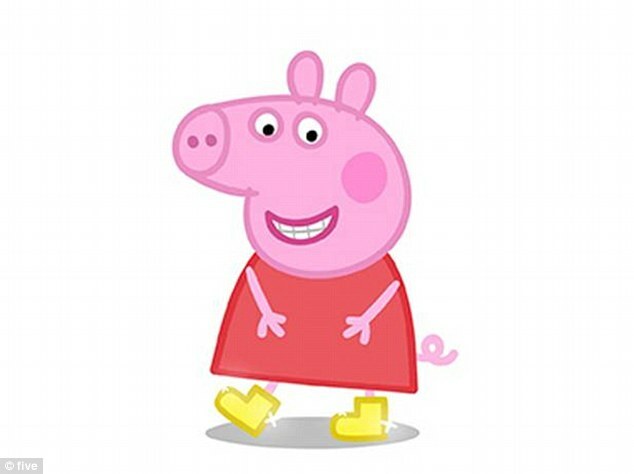 Peppa has even managed to succeed where Cheryl Cole failed by cracking America, despite her inferior wardrobe. The programme has seven-day-a-week status on American kids’ channel Nick Jr and a Fisher Price deal, which is transforming the brand into a billion-pound money-spinner. You’d be hard pushed to find a small child in the country who can’t name Peppa and her baaing, woofing and neighing crew – and my two-year-old daughter Tamara (following in the footsteps of my son now five and daughter, six) is no exception. In truth, I’ve actively encouraged Peppa mania. I’ve bought the DVDs (as an emergency back up for the 55 episodes recorded on Sky Plus), read the books, made the birthday cake, bought the pyjamas (and slippers and dressing gown and toothbrush), downloaded the app and we’ve even been to the ‘World’ (at Paulton’s Park in the New Forest). But recently I realised that the tone of my daughter’s new fake cry was eerily similar to George Pig’s frequent ‘waaaah’ – and had developed simultaneously with her interest in the little pig. 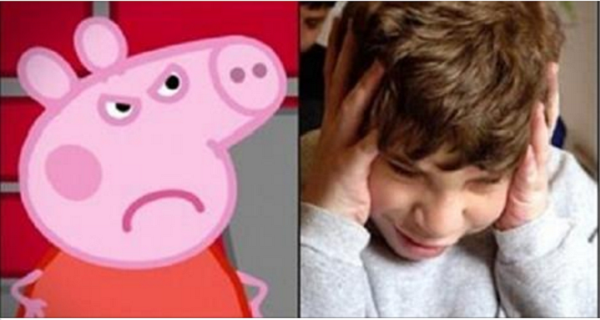 When I started to think about it, it wasn’t the first time I’d noticed Peppa Pig’s influence on my children’s behaviour. It reminded me of an incident from when my oldest was three. After the usual tug-of-war over a dolly with a friend, she shoved her hands on her hips and declared, ‘I don’t want to play with you anymore!’ To which Lilly blurted out, ‘I don’t want to play with you anymore!’. It was a live rendition of Peppa and Suzy Sheep’s argument in the episode called ‘The Quarrel’. And on the lips of my three-year-old it sounded even more unpleasant than on screen. The girls were totally unaware of their plagiarism, but this dialogue had become etched in both their minds as a template of how friends interact. in truth, the only thing surprising thing this revelation that Peppa Pig is perhaps not the best influence on my children is that I actually found it surprising. After all, if you look past the cute theme tune, the humour and the belly-laugh ending, there’s little denying that Peppa Pig is terribly behaved. If she were at nursery with my daughter, she wouldn’t be invited home for play-dates and the rest of the family aren’t exactly The Waltons either. Mummy Pig is so moody it takes the entire episode for her to finally crack a smile, which is so shocking it makes the rest of the family fall over. Then there’s the way she bullies Daddy Pig, bossing him about relentlessly and making him feel fat and useless. Then there’s Daddy Pig, who’s fat and useless, and George, who’s quite sweet, but if he carries on hanging out with Peppa, will soon grow out of it. Plus Grandpa Pig, who knows it all, and lets his poor son-in-law know it. So as of tomorrow, I will be banning Peppa Pig from my house. It might take a while to ween out the merchandise but Peppa’s whining antics will no longer be given a platform in my living room. Am I being over-protective with my censorship? Does this put me in the dreaded ‘helicopter’ category of parenting? I put the question to educational and child psychologist Hannah Abrahams for a quick reality check. ‘If you find your daughter is emulating negative elements of Peppa Pig then don’t put her in front of it,’ she says simply. And of course it’s not only two-year old’s who are sucked in by what they see on screen: ‘You see the affect of television on children of all ages,’ says Hannah. ‘Research has found time and time again that programmes displaying aggression or violence encourage that behaviour in children – especially when they’re at school. ‘We are seeing a tendency towards aggressive, antisocial behaviour in response to cartoons like Horrid Henry, who is a rude aggressive disobedient cartoon character. Hannah believes everything – including TV – needs to be done in moderation and says TV and screen time needs to be regulated with all children. ‘You can’t stop children watching TV altogether – and some children need downtime just as adults do – but you can take control. ‘We can all use TV as a tool and it can be for the positive too – to discuss life experiences. ‘So if your child does end up watching Peppa Pig and stars mimicking George Pig’s wail, you can say: ‘You’re being a bit like Peppa Pig but perhaps what you’re trying to say is that it’s not fair. Eventually you want your children to be able to label their own emotions. ‘Use TV to expand their emotional literacy,’ Hannah adds. 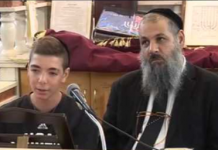 So why have I been blinkered enough to allow this family to infiltrate my home and influence my children’s malleable young minds? I confess it might have something to do with the fact that I find it pretty watchable. I’d certainly take Peppa Pig on Channel 5 over Jeremy Kyle over on ITV for my morning TV dose any day of the week. Who hasn’t stifled a giggle at one of Daddy Pig’s classics? When he studies the instructions to build Peppa and George’s toy cupboard, then proclaims with utter certainty, ‘It’s no use, it’s nonsense!’, it makes me chuckle every time, as do his frequent declarations, ‘What a stroke of luck!’ at the very least lucky of moments. And even though I know it’s coming, it’s still amusing when Mrs Rabbit pops up showcasing yet another new talent – to add to her experience as a dental nurse, school bus driver, hot-air-balloon pilot, ice-cream seller, shoe fitter, supermarket cashier, museum curator, recycling plant operator, Christmas tree seller and ice-skating attendant. And judging by the dad at Peppa Pig World, who decided to stay on the balloon ride ferris wheel, despite his two-year-old daughter being whisked off by mum with last-minute jitters, I’m not the show’s only fan over the age of five. But of course Peppa and George’s main appeal is that my children love them and while they’re creating mischief on screen, there’s blissful calm in the real world. Five minutes of guaranteed time out during a 12-hour shift with three kids can feel like a two-week holiday to Hawaii. But I’d be foolish to ignore the fact that if my children grow up like Peppa, it’ll be a life sentence. Sadly though, the dysfunctional Pigs are no worse than many other British TV creations. Ben and Holly on Channel Five are being raised by Nanny Plum, so dour and sarcastic she makes Jack Dee look like he’s high. That Little Princess (star of her own show, also on Channel Five) is in serious need of some etiquette lessons. And don’t even get me started on the grammatically abhorrent Lola, sister to the ever-patient Charlie over on BBC. Why are we Brits so intent on creating anti-role models for our kids? Flick to an American show and you’ll find Mickey Mouse, Dora the Explorer and Handy Manny falling over themselves to do good. 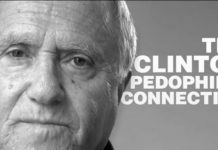 It’s not that they don’t recognise naughtiness – I wouldn’t want to get on the wrong side of Dora’s nemesis Swiper – but it’s not celebrated as it is with our homegrown characters. Dora never stamps her feet no matter how many mountains and rivers she has to navigate in the space of 24 minutes and you’ll never catch Mickey Mouse in a bad mood either. It’s not all one way – we have our Postman Pat and Thomas the Tank Engine, and they’ve created the vile SpongeBob SquarePants — but over here the purely sweet programmes are losing popularity in favour of a newer, edgier type of show. I’m not suggesting we lose our fabulously cynical British sense of humour, but at pre-school age shouldn’t our children’s role-models be caring, patient and considerate — attributes seriously lacking in our nation’s favourite flawed piggy heroine? Despite the backlash this might cause in my household, I know the answer is yes. So tomorrow, the rehab begins. It might be the end of Hawaiian holidays in the middle of my day and I’ll have to be quicker in the shower, but I’m hoping that less of the pigs and more of the mouse or postman will turn my daughter into a better little people. No more dine-saw ‘grrrr’s, jumping in muddy puddles or recitals of Madame Gazelle’s Bing Bong Song – oh, how it’s going to hurt – but I can’t help thinking it’ll be worth it in the end.